Introducing a 5 piece Fallen Redwood tree set. These trees had a good life but still can be found hanging around the forest. 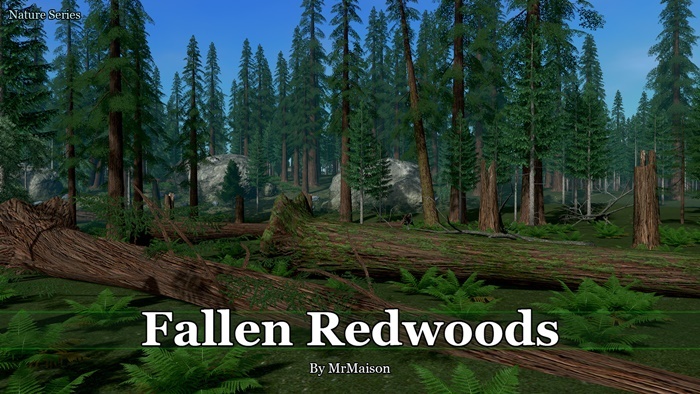 These fallen trees and stumps can add more realism to your forest creations adding some history of things that happen over time or perhaps because of a severe storm. Included are 3 fallen Redwoods and 2 stumps. Large stumps  This is my first fallen tree set. Note: I didn’t make these terrain conforming because I want players to be able to place them across paths or water. Besides, I think these trees don’t bend so easily.